I may have posted this before, however it just got more interesting. You may find it hard to believe the history still cruising the Great Lakes. Pictured below is the barge, Joseph H Thompson. 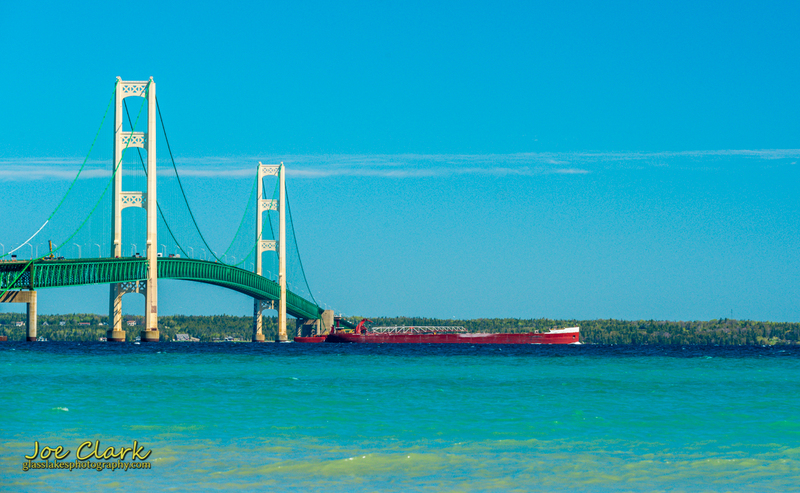 I captured this image a couple of weeks ago when I was exploring Mackinaw City. Now as I am looking into the ship’s history I am fairly amazed. This barge was originally constructed in 1944 as a freighter, then immediately pressed into wartime service. It was present during the invasion of Normandy on D-day. After the war the ship was used on the east coast, and then eventually became the largest ship in the world; when it was put into service on the Great Lakes to haul iron in the 1950’s. To read more on this ship, visit its page on Boat Nerd at this link.